Wild About Words! : Common Core and More! I think this is the most valuable FREE app I've found yet! 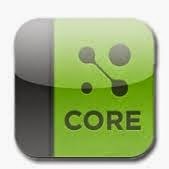 I have found the standards hard to maneuver and slow to load but this app puts all of the common core standards right at your fingertips. In less than 15 seconds, you can have your grade level and subject pulled up right in front of you. Awesome, awesome resource! This probably doesn't qualify as "fun," but the reading nerd in me is getting a kick out of "Reading Trainer." It claims to improve your reading speed, blah blah blah, AND you can post your scores that outsmart your friends on Facebook? LOL Well, somehow, I find it interesting and yet another way to spend 5 minutes playing with an Ipad. There's all sorts of eye exercises, letter and number challenges, and anagramming that increases your score. The great part...it won't let you complete another lesson for 30 minutes, so you CAN'T do it for hours! $1.99- not a bad deal! 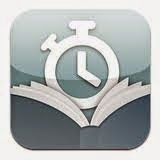 I really like the sound of the Reading Trainer -will have to check it out! :0) Glad you found me! Have fun with the reading trainer!